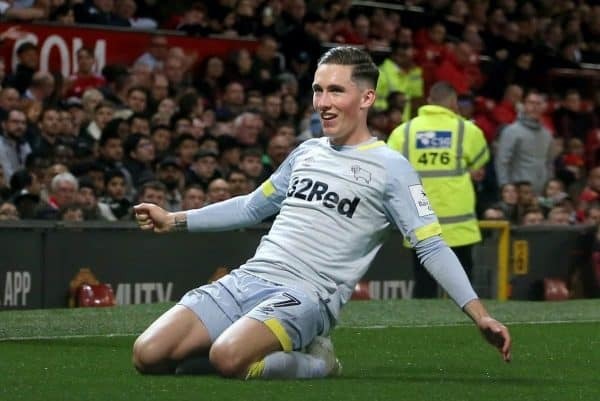 Harry Wilson made a return from injury for Derby County in the FA Cup on Wednesday night—and was the catalyst for a spectacular comeback. On-loan Liverpool starlet Wilson had missed the past two matches for his temporary club with a hip problem, with Derby losing and drawing in his absence. The attacking midfielder was drafted straight back in for the third round replay by boss Frank Lampard—such has been his impact on the side and goalscoring threat this season. Despite being level at the break, it seemed matters weren’t going to plan for the Championship club, as they fell two goals behind to Premier League side Southampton with just 20 minutes to play. The Welsh wizard has gained a reputation for hitting some stunning free-kick goals this term for club and country, and he proved his set-piece prowess once again to pull one back on 76 minutes. A dangerous ball was whipped in from the right side of the box, more designed as a cross than direct shot, but the placement and pace on the ball was the perfect type of dual-threat free-kick: dangerous cross, but also on target. It evaded every Saints defender and the goalkeeper, and nestled in the far corner of the net to give Derby hope. With the clock ticking down inside the last 10 minutes, Wilson then turned provider, swinging over another brilliant cross which was headed home by team-mate Martyn Waghorn from close range. The key switch for Wilson to take control of the game came in a second-half tactical alteration, which saw him head back out to the right flank, from where he has often proven so deadly. Wilson’s impact forced the game into extra time—but his race was run just a few minutes later, with Lampard opting to sub his talented 21-year-old soon after the restart. There were no further goals in extra time and Derby eventually prevailed, 5-3 on penalties. 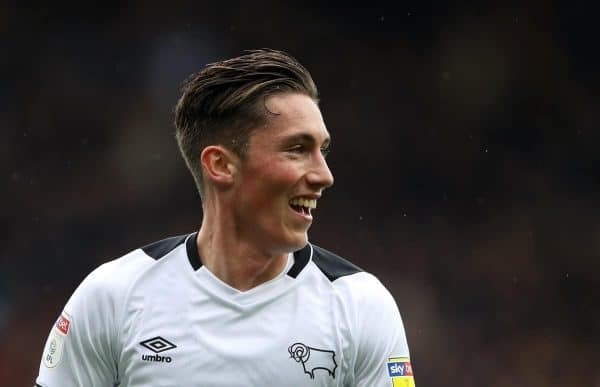 The Welshman now has 11 goals and three assists to his name during his loan spell with Derby. Harry Wilson (21) has completely changed this FA Cup tie since moving out to the right. A well-taken free-kick finds the back of the net to get Derby County back into the game, before whipping a fantastic cross onto the head of Martyn Waghorn for the equaliser. Harry Wilson has got to be in the Liverpool first-team squad next season.